Over the past five years, the Independence Blue Cross Foundation (Foundation) has led sustainable solutions to improve the health and wellness of our communities. 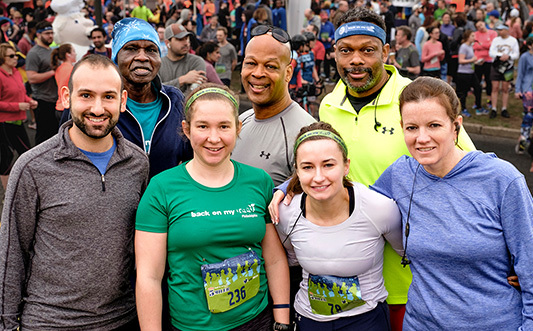 Over the past five years, the Independence Blue Cross Foundation (Foundation) has led sustainable solutions to improve the health and wellness of our communities. Since 2011, the Foundation has invested more than $28 million in initiatives to improve community health. 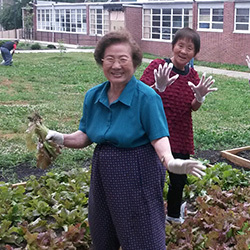 These initiatives and our partner organizations have in turn touched the lives of hundreds of thousands of our neighbors in Southeastern Pennsylvania. In 2016, we identified two new health priorities: we announced the Supporting Treatment and Overdose Prevention (STOP) initiative in response to the alarming opioid abuse epidemic, and we launched Healthy Hearts with a commitment to increase the number of individuals who are trained to administer CPR. With our four programs as a blueprint, we fund organizations and initiatives that help communities achieve better health. As a thought leader, we believe that sustainable change is made through collaboration. We choose to lead by listening, engaging with community partners that understand the diverse health and wellness needs in our neighborhoods. In the complex health care ecosystem, our community engagement and strategic partnerships bridge the gap between ideas and implementation. We thank our board, our partners, and our community for a remarkable first five years and look forward to your continued commitment as we build upon our success together. We encourage you to join in our vision for the future of community health. Since its founding five years ago, the Foundation has evolved into an institution of impact. The Foundation invested nearly $16 million over five years in more than 40 health centers to improve access to quality primary care in the region. With nearly $8 million in scholarships awarded since 2011, the Foundation is committed to advancing the education and leadership of nurses. In a five-year span, the Foundation launched three initiatives to address national health trends at the local level. The Independence Blue Cross Foundation Healthy Futures Initiative (Healthy Futures), and the Healthy Hearts and STOP initiatives use a collaborative problem solving approach to address childhood wellness, cardiac arrest survival rates, and opioid abuse. Since 2011, the Foundation awarded a total of $2.5 million in grants to nearly 100 organizations, supporting the health and wellness needs of diverse, underserved populations such as veterans, youth, seniors, women, and immigrants. 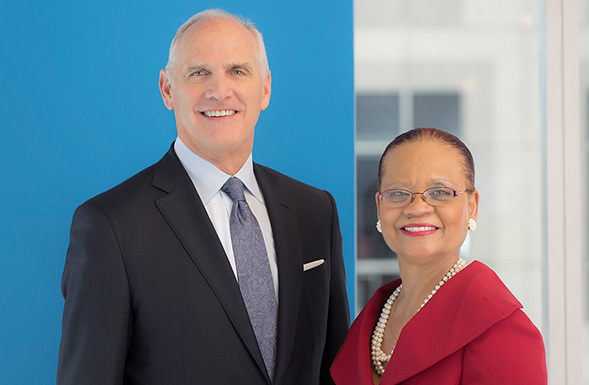 Independence Blue Cross Foundation is launched — a charitable, private foundation — with a mission to lead sustainable solutions that improve the health and well-being of the community. The Foundation awards its first grants to health centers and schools of nursing through the Strengthening the Blue Safety Net and Bolstering the Health Care Workforce programs. Independence Blue Cross Foundation Healthy Futures Initiative is announced — a $3 million, three-year program and research study aimed at improving childhood health and wellness. The Foundation launches a new grant program, Building Healthier Communities, to support diverse wellness needs in the community. The first issue of the award-winning Journal of Change is published. The Foundation convenes its first national forum, Neighborhood Strategies to National Solutions. The Foundation becomes the inaugural funder of the Robert Wood Johnson Foundation Future of Nursing Scholars Program, and commits to supporting eight doctoral nursing fellows through 2019. In partnership with the National League for Nursing, the Foundation hosts Advancing Care Excellence for Seniors (ACES) workshop for nursing and health professionals. 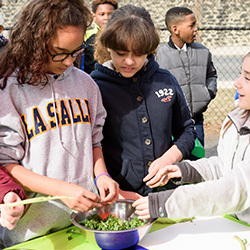 With the Children’s Hospital of Philadelphia, the Foundation convenes the national conference Healthy Futures: A Recipe for Childhood Wellness. The Foundation expands support of nursing education and awards an additional $450,000 to doctoral nursing scholarships. Jose Garces, Billy Jean King, and Venus Williams all lend their support to the Independence Blue Cross Foundation Healthy Futures Initiative. 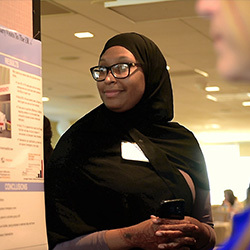 The Foundation commissions Drexel University Dornsife School of Public Health to conduct a needs assessment of Blue Safety Net-funded health centers resulting in a strategic redesign to build health center capacity over three years in the post Affordable Care Act (ACA) landscape. 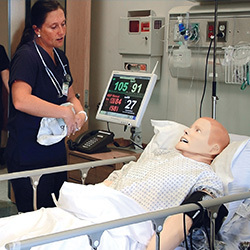 The Independence Blue Cross Foundation Nursing Internship Program is enhanced with the launch of Leadership Labs focused on professional competencies. 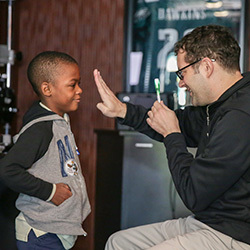 The Philadelphia Union, Philadelphia Freedoms, and Philadelphia 76ers partner with the Independence Blue Cross Foundation Healthy Futures Initiative to inspire kids to eat right, get fit, and stay well. The Foundation celebrates 50 years of Community Health Centers during National Health Center Week featuring Dr. Nancy Milio, a pioneer of public health. With the National League for Nursing, the Foundation convenes the national conference, Paradigms in Nursing Leadership. Building the future of community health means securing a stronger, smarter health care safety net. 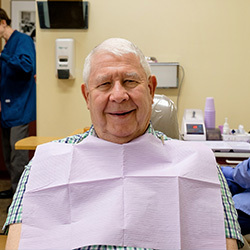 Exploring opportunities for outreach into the community — dental care where it’s needed most. 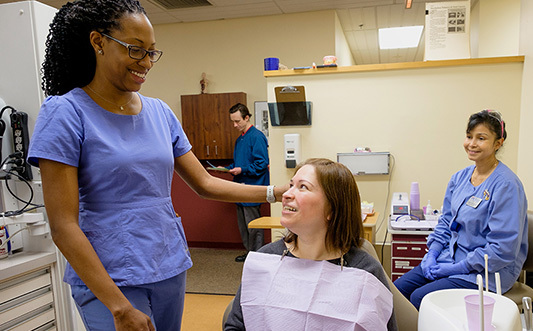 Community Volunteers In Medicine (CVIM) knows Chester County, and was troubled to discover that several populations were receiving little or no dental care. Most lacked dental insurance or were under-insured, and many found it difficult to access CVIM’s dental services due to lack of transport or the need to miss a day of work. Taking a collaborative, community approach, CVIM looked for ways to tackle this issue through effective partnerships. 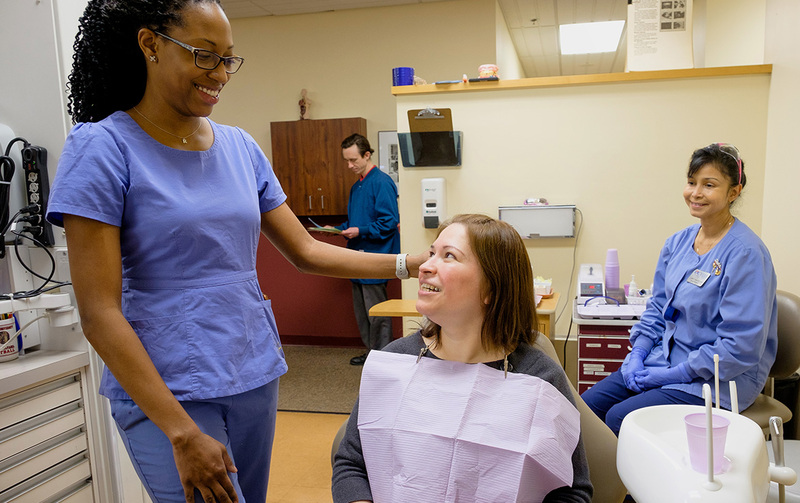 With the Foundation’s support, CVIM mobilized their dental staff and services, and brought dental care to St. Rocco’s, a Latino parish in Southern Chester County, and to Surrey Services, a senior center in Devon, with hygienists at each site twice a week, and dentists twice a month. More than 80 patients receive care each month through the mobile dental program. Participants are grateful to have a trusted source of care come into their communities, eliminating transportation and logistical barriers to quality services. Improving oral health care helps communities grow healthier. Building the future of community health means preparing the next generation of nurse leaders. A new training model in primary care — pioneering a residency program for Nurse Practitioners. 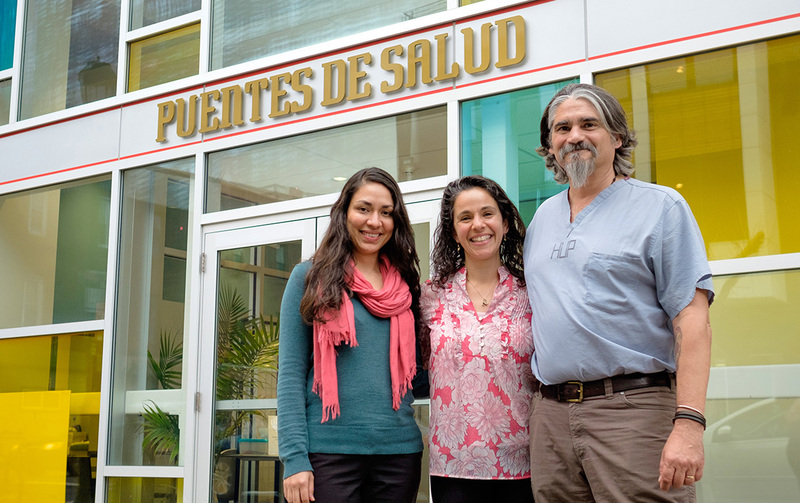 Puentes de Salud, a health center serving the immigrant and health needs of the South Philadelphia community, understands the increasingly important role nurse practitioners (NPs) play in delivering primary care. New-to-practice NPs can face a steep learning curve, both in responsibility for patient treatment and culturally competent care. Puentes de Salud and the Foundation saw value in developing a substantive post-graduate training experience to help NPs transition successfully. One of the nation’s first nurse practitioner residency programs, the one-year hands-on experience is modeled on residency programs for physicians. 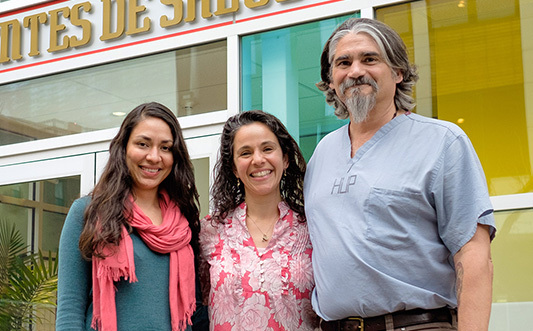 Participants see patients at Puentes de Salud under clinical supervision and also rotate through the Emergency Department at the Hospital of the University of Pennsylvania, and Children’s Hospital of Philadelphia. Residents gain confidence, strengthen their clinical judgment, and build cultural competency skills for working in underserved communities. Building the future of community health means finding local solutions to national health issues. Empowering more Philadelphians to save lives — bringing free and convenient CPR training to thousands. Rates for CPR training in Philadelphia — especially among the poor and elderly — lag behind national averages, as do the rates at which bystanders perform CPR for those in need. Awareness and training are essential, but cost, time, and transportation to training sites present obstacles. 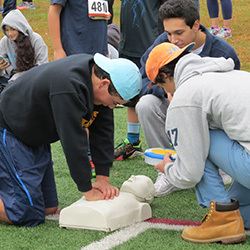 CPR is vitally important, as it represents the best way to save lives from cardiac arrest, a medical emergency that claims over 1,000 lives in Philadelphia each year. 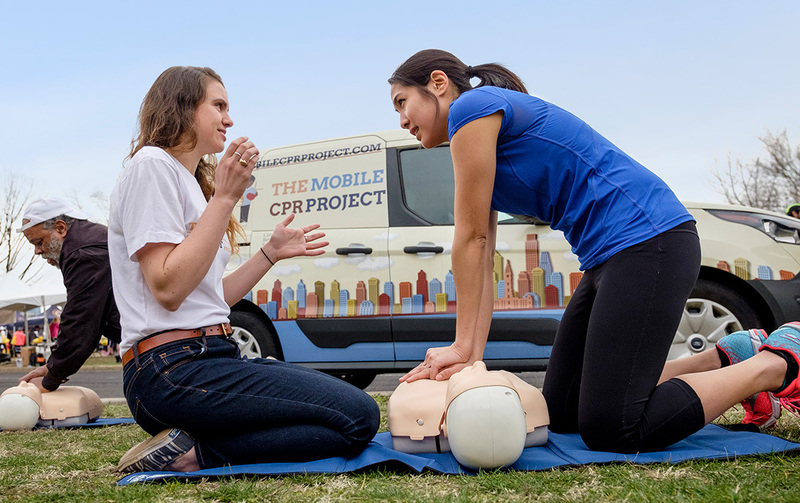 To improve the rates of cardiac arrest survival, Penn Medicine’s Center for Resuscitation Science created The Mobile CPR Project to take CPR training into the community. 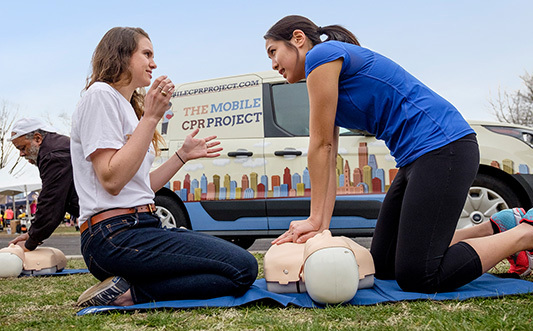 Using a specially equipped mobile van, project leaders can bring training on-site and deliver free, 30-minute CPR sessions, erasing barriers to participation. The demand for Mobile CPR training is increasing — the program is conducting 15 or more training events each month, and inquiries from peer institutions in other cities have been pouring in. 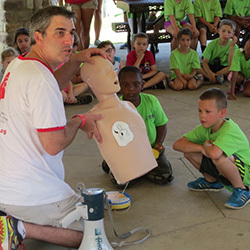 Teaching life-saving skills to community members will ensure that the heart of Philadelphia keeps beating for generations to come. Building the future of community health means empowering individuals to lead healthier lives. Tracking the impact of interventions — an innovative non-profit launches a health metrics study. Back on My Feet is a group that helps the homeless get a fresh start in life, in part through establishing a routine that includes early morning group runs. Launched in Philadelphia, the organization has helped more than 1,000 individuals here, and is now active in 11 other cities nationwide. Many homeless individuals have faced hard times, including addiction, incarceration, and persistent mental health issues. 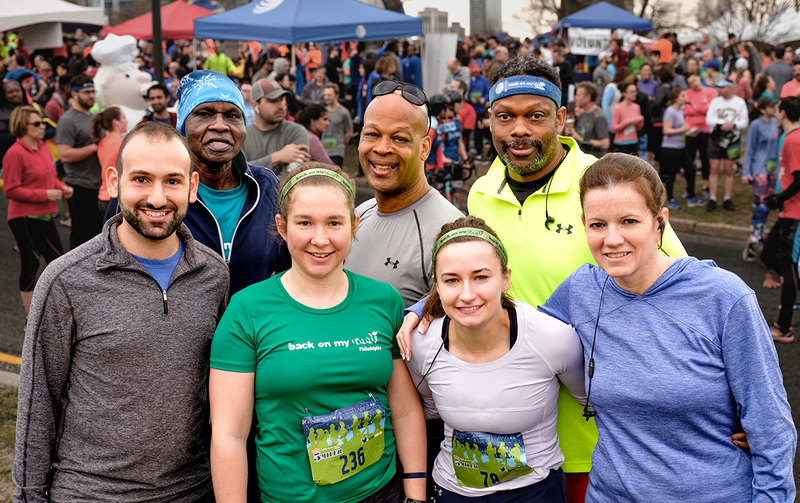 To get them employed and for them to find stable housing, Back on My Feet uses the strength of a running community coupled with its Next Steps program to help its members make fundamental changes in outlook and lifestyle. The group wants its members to understand their commitment to running has positive health impacts. A partner since the inception of Back on My Feet, the Foundation eagerly supported a study tracking key measures of program participants’ health over time. Among other highlights, data show that after 60 days, 40 percent of members had quit smoking, and there was a 30 percent increase in the number of members with normal blood pressure. An intervention that improves health, fosters friendships, and changes lives is a step in the right direction for neighbors in need. Center in the Park, Inc.
Penn Asian Senior Services, Inc.